Japanese-styled Chinese cuisine was developed with the influence of Chinese living in Japan. With the hard work and creativity of both Japanese and Chinese chefs, plenty of unique and outstanding delicacies were developed. RAMEN, the fine and subtle Japanese noodle, is one of them and has become the traditional icon dish for Japanese ever since. Other unique delicacies such as GYOZA, TORI KARAAGE, KATSUDON, GYUDON and etc. are also well known worldwide. Today, at SOLOMEN CAFÉ, we would like to introduce our best Japanese-styled Chinese cuisine made from our finest 20 years old secret recipe. Quality and freshness are our motto. Hence, ramen, sauces, broth, fillings and gyoza skin are totally handmade from fresh ingredients. SOLOMEN CAFÉ serves freshly handmade ramen that comes in varieties of soup base which is flavoured with vegetables and pork bones cooked at light simmer over long period of time. SOLOMEN CAFÉ also serves top quality of coffee and varieties of beverages. ‘SOLOMEN’ are the combination of word ‘SOLO’ & ‘MEN’, which means freelancers and customers who are ramen lovers. We have, in our utmost effort, designed the lighting and audio system to create a comfortable, cozy and condusive working ambience. We have also installed universal electric plugs with USB port and lockers for our customer’s convenience.  In this fast-paced lifestyle, we welcome you to step back and enjoy our soothing specialty ramen and comforting signature beverage in this relaxing and refreshing ambience at SOLOMEN CAFÉ! Warm welcome by the friendly staff making me feel homey and comfortable cafe setting that is so relaxing.Delicious Negi Miso Ramen and Gyoza that I will highly recommend when you visit this place. Hubby enjoy the Hokkaido Buta Don- Rice topped with sliced pork in special homemade sweet sauce. Definitely will visit again soon to try on their Cold Noodle and Katsu Don. For me, Solomen Cafe is perfect for ramen and rice (Don) dishes. Their menu specialises in meals for those who love pork, okay not just pork but lots of pork belly. One example of a dish would be the Hokkaido Buta Don and Hoikoro. Solomen Cafe is a full-on Japanese restaurant but they specialise in unique ramen and rice (Don) dishes using only the freshest and best ingredients they can find. I love their broth and wheat-based homemade ramen made, which makes me wants to come back for more. Variety of items can be hunt in this cafe and prices are reasonable too. Their Signature is Tonkotsu Ramen with a slight twist where they add in some salted veggie into it to give a sourish saltiness to its pork bone soup base @ RM20.90. Among the don, I like their KATSU don @ RM 21.50. Love the mix egg ontop of crispy fried pork cutlet. Solomen Cafe could be your new hangout cafe which serves homey comfort dishes in Japanese style. The ambience here iS cozy with great relaxing song choices being played in the background. Springy homemade ramen noodles served with char siew slices, boiled egg, beansprout, sweet corn, leeks and spring onions. The broth was unique, not like your usual bowl of pork bone broth. It was flavourful and cooked for long hours to achieve that depth. Char siew was soft and yummy. From ramen bowls made with long simmer pork bone broth, simple soy sauce based soup, or miso to rice bowls with delicious pork slices; we can now get our Japanese comfort meal fix in Solomen Cafe at SS2. There is not only an assortment of steaming bowls of thin wheat noodles in broth, but a good fare of Japanese classics to complete a wholesome meal. This plain and humble looking cafe is absolutely a very good space and ambiance for leisure and comforting meal. The chef at the SoloMen Cafe has mastered the skills to make its own Ramen; that is consistent and have a chewy and springy texture. Not many Ramen shops makes its own Ramen as it is quite a tedioius task but it ensures the consistent quality of the Ramen it serves. If you're craving for some Japanese goodies, I have a great suggestion. I recently tried out a new establishment, serving up some ramen goodness at the busy township of SS2. Solomen Cafe is a modern themed cafe and a good workplace for those who are seeking a quiet place to get some work done. I have a special fondness for dumplings, so the gyoza being the Japanese version of dumplings is definitely one of my favourite appetizers. I love how this Gyoza was pan-fried, first with oil and then, water till the Gyoza is nice and crispy. The skin is also of the right texture and thickness, making it such a joy to sink my teeth in it. One of the highlight during my time here would be this bowl of Kimchi Ramen! It's one of the best kimchi ramen I have ever had so far. A great blend of sour and spicy together with the flavorful hot broth is just perfect on a rainy day. I personally love this chicken Karaage a lot! It's fried to perfection while retaining the moist of the chicken inside. For the price, its very worth it for the portion. © 2019 SoloMen Cafe. All rights reserved.